Install Java, Flash, every codec you’ll ever need and much more, all at once. It’s heavily proprietary, but Ubuntu Restricted Extras is probably the first package you should install in Ubuntu. Are you a new Ubuntu user? You might soon notice that a lot of things don’t work out of the box. You cannot listen to MP3 files or watch most movies; even DVDs. Browsing the web means doing so without Flash and Java, and certain websites don’t look right because the fonts are different. That’s where Ubuntu Restricted Extras comes in. 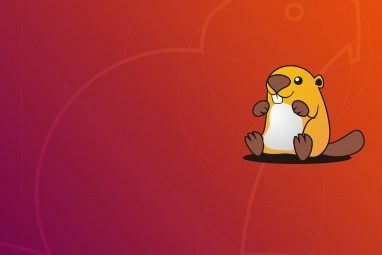 A collection of software Ubuntu can’t legally bundle with Ubuntu, this package is easy to install and makes your computer capable of a staggering number of things. You’ll get Java, Flash, a staggering number of codecs, all the familiar default fonts from Windows and the ability to open RAR files. Windows users need special tools, such as Ninite Ninite - Easily Install All Your Favorite Free Apps In One Go Ninite - Easily Install All Your Favorite Free Apps In One Go Read More , to install this amount of software at once. Ubuntu users need only install one package from their repositories: Ubuntu Restricted Extras. This is probably the first thing you should do with any new installation of Ubuntu, so keep reading if you’re not familiar with it. Installing software in Ubuntu couldn’t be easier. Just head to the Ubuntu Software Center, then search for the package you want to install. You’ll find it under “Top rated software.” Open it, then click the “Install” button. You’ll have to type your password and then you’ll be done. Are you too lazy to open the program and find Restricted Extras? Fine; click here to install Ubuntu Restricted Extras. Done. 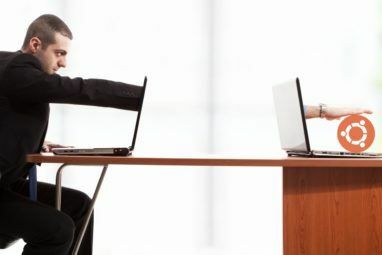 Are you using Kubuntu or Xubuntu? Search for “Kubuntu Restricted Extras” or “Xubuntu Restricted Extras” instead. Not sure what these mean? The top one, “flashplugin-installer”, gets Adobe’s Flash installed on your system. The various “gstreamer” packages add codecs to Gstreamer, which the Ubuntu video and music player both use to open files. “IcedTea” is a browser plugin for Java, and is followed in the list by a couple more codecs. The mscorefonts package gives you Times New Roman, Arial and other Windows-standard fonts. Unrar does what it says: open RAR files. None of these packages, however, give you the ability to play DVDs. To do that, you’re going to need to do some extra work. You can find the instructions here. Prefer not to do all that work? Head to the Ubuntu Software Center and install Fluendo DVD Player. It will set you back $25, but it works. Why is either process necessary? Well, like it or not, DVDs are protected. When you buy Windows or a Mac, the people who created the DVD standard get paid. Ubuntu is free, meaning they aren’t paying anyone for the right to play DVDs. Hence the need to jump through hoops or buy a compatible player. All of these other programs aren’t included for similar reasons. Simply put, Ubuntu doesn’t have the right to distribute codecs, Flash, Java and other technology on the Ubuntu disk. Doing so would make Ubuntu illegal to distribute in some countries, including the United States of America. This means that Ubuntu could become illegal in America should they decide to include these packages. Why can they offer Ubuntu Restricted Extras at all, then? Well, basically because it’s up to individuals to either install these packages or not. The theory is it’s up to you to determine whether or not these packages are legal in your country and to act accordingly. I’d like to hear from you guys. Do you install Ubuntu Restricted Extras, or not? Why? I’ll be around in the comments below, so let’s chat. coud anyone help me to find ubuntu restricted extras system in my pc?mine is ubuntu 13.04 32 bit.i wait ur answers.thanks. why its not in my pc?mine is ubuntu 13.04 32 bit. I install everything except msftcorefonts. So is the average home computer user supposed to hire a lawyer to find out if we can or cannot load this software in our country? I, like many people I suspect, cannot afford expensive lawyers to to look into this. Any advice on where people can look to find out without the expence? This is the absurdity of this situation: there is simply no easy way to figure out what is and isn't legal. 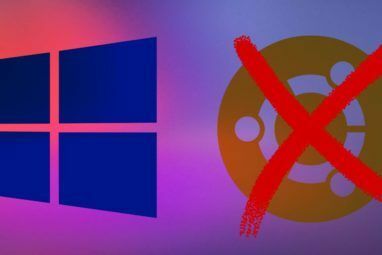 Luckily, there's not really a chance the average home user will be busted for stuff like ubuntu-restricted-extras: if anything, they'll go after Ubuntu itself. So while it's not a perfect answer, I have to simply say don't worry about it. I hope software patents go away someday. I'm confused - one of the main points of linux is that it's a *free* alternative to pirating windows, right? But if I install restricted extras, thats illegal (in the US)? In which case, that whole free/legal alternative argument is BS? Or, is it just illegal to distrubute those, but not install them yourself? In which case, how do other linux distros do it? Presumably Ubuntu isn't the only distro that refuses to include essentials like an mp3 codec? No, the software is legal: the biggest part of the codec pack is open source (GPL or similar) and another part is freeware. In the EU we don't have software patents so it's absolutely 100% legal to use and also distribute those codecs. So in the US, it's illegal to *distribute* those codecs, but perfectly legal for the end linux user to *download themselves*? I'm not a lawyer and I don't live in the US. Anyway I think they risk to be forced to pay royalties, which of course is not a good thing. But at the same time, the software patent concept is highly objectionable and for some legislation it doesn't apply. This is about the same reason for why there are 2 different versions of Linux Mint: they wanted the codecs inside the disc, so they needed a "software patent" compliant one for countries like Japan. Other Linux distributions get away with bundling because they're small enough to slip under the radar, basically. That's silly! What about big distros like RedHat? That's in far greater use than Ubuntu! In the enterprise sector anyway, right? I always thought it was something to do with Ubuntu's insistence on being GPL for moral reasons rather than legal… ie, "we'd really like to distribute those codecs, but unfortunately we're stuck up hippies who don't believe in non GPL software or whatever flavor license we've snorted too much of". If you think Canonical is the most GPL-compliant distro, you're wrong... ask Stallman about that. :P Seriously, most of the codecs that "are the problem" are actually FLOSS, so it's not a license issue. It's a patent one. I don't install it. Simply put, it grabs a lot of closed source codecs which are not needed: pitfdll and w32codecs/w64codecs. I don't have those installed and I can play everything I need. Even if there are some patent issues, remember that the other gstreamer codecs are Open Source and sufficient to play media files. So I have my personal list of packages and with copy-paste I use it when installing Ubuntu to other people. Can I ask for that list please? and also what is that line of code? It's in Italian but you can read the code. Also, I need to update some of the final packages (e.g. you may also use Google Translate to translate the post from Italian to English. I can't understand why the hell people install Microsoft fonts in Linux... I mean, if there's no app that really needs them. Websites are designed around some of these fonts, so some people feel the web looks better and more familiar with them. Websites are designed around font "families", so the browser automatically chooses the appropriate font. I don't think they look better. Maybe familiar, but certainly not better. Unfortunately, and that's sad to say, there are some very commonly used MS fonts that don't have good "compatible" alternatives on Linux (e.g. Trebuchet MS and Georgia). Also, lots of self-defined "web masters" think there is only Windows (or Mac OS) and everybody must have all of those fancy fonts so they don't set fallbacks in CSS. What Lazza said: not every web developer uses families, and makes some sites look bad in Linux without these fonts. It's also good to have these fonts if you collaborate regularly with Windows or Mac users. Just installed Ubuntu ( 10.10) on a Toshiba laptop already running Windows 7 / 64 bit. Trying to get familiar with it. Will I still need some of the items in this "restricted extras" package and something for the dvd drive to use it while exploring Ubuntu? You'll need them for videos, flash, java and fonts. You'll be able to use the DVD drive without it, but not to watch DVD movies. Nowadays, the installer asks if you want it. All you have to do is check a box. AFAIK the installer just adds the metapackage for you, so it's the same thing.